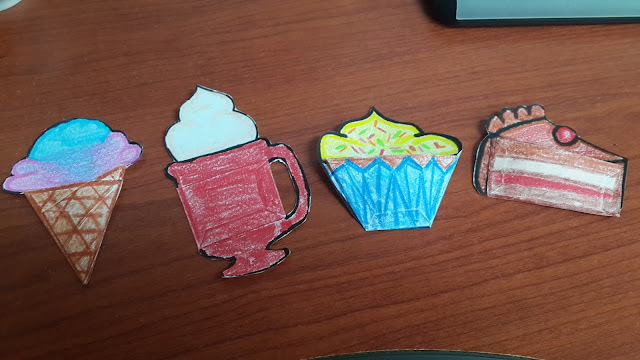 Winter Camp 2015/16 ~ Day 4: The Wooden Horse & Sweet Things to do this Week Craft! I like this story so much, because it is simple and ESL suitable but very easily captures the Greek legend's story line and with vocabulary I can actually teach! It's called The Wooden Horse. I want to do this lesson with grade 5 and 6 more so, as it's a bit more advanced for my grade 3 and 4. But you can always try it with the young ones, they can handle it if higher level especially. You can Download the Lesson Plan for Day 4 : The Wooden Horse by clicking here. Draw or project an archery target on the board, big enough for them to use as a target board with paper airplanes. This can be played in teams or with individuals. Tell the students, the most outer of the target is worth 1 point and they must answer a difficult question, the next circle inner, is worth 2 points and has a less difficult question but still not easy, the next inner circle (before the bullseye) is worth 3 points and it’s an easy question. If they get the bullseye, it’s worth 5 points and there is no question, they can have another turn. Remember to make sure the board and distance of throw is a challenge, you want less bullseye hits than anything else! Now, prepare some 1 point, 2 point, 3 point questions. (difficult, medium to easy) – you can have them written on cards or you can just read them off a paper you have quickly written down. Suggested, Sample Questions: (The only get the point if they answer correctly). Count to 30 in English. 3 Point: Easy Questions – I’ve made these personal for a chance at discussion. What is your friend’s name? I know I usually don’t start with the book, but since the warm up could take a while, I think we should just get into it. A nice change too. Make sure to discuss the story, see if they know of it and more. Listen and repeat, reading. 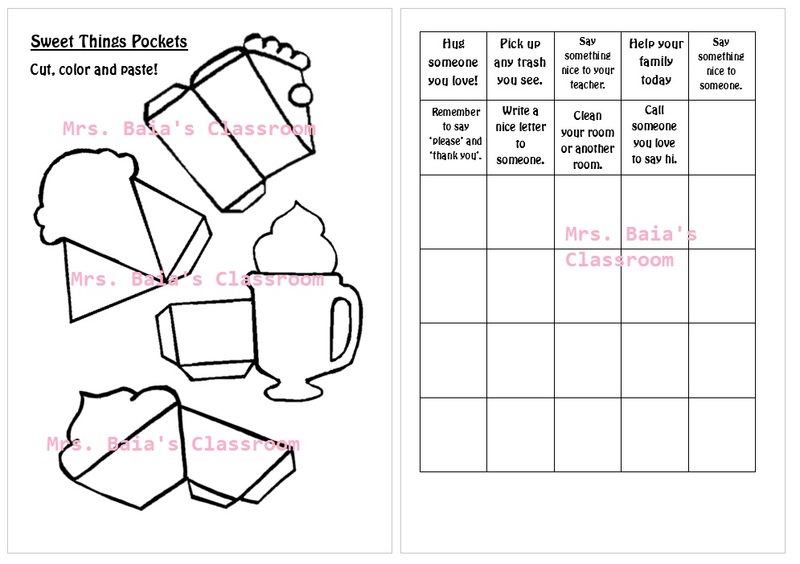 Delegate pages or sentences to each student to read. Go over new words and meanings with slides. The PPT is more like a quiz, the students are given the word and they have to choose the matching picture or Korean translation. I got the translations from an actual English – Korean dictionary so they are more trustworthy than Google Translate, etc. There is a crossword that you can ask them to complete during or after the PPT. Edit - the crossword didn't work , sorry, must have been a translation issue as I made it online. Sorry if you printed/used it. In this reading, make sure to have the students lead and delegate parts for them to read. Start a simple discussion about the story using the PPT slides and lead them to the theme of gifts and gift giving. 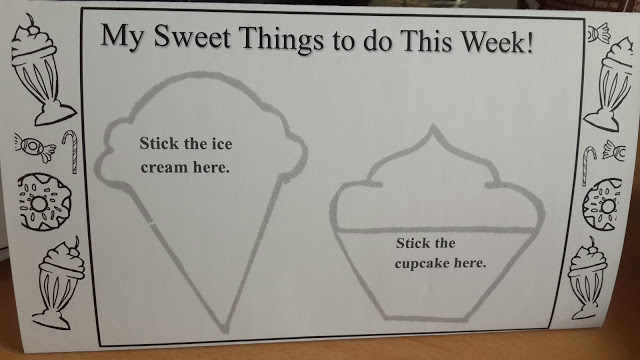 2016 New Year’s "Sweet Things to do this Week"
I thought this would be a great way to start the New Year as my camps are before and after New Year’s Day but close enough. Plus, I would like my kids to be a bit nicer in 2016 – lol… some of them have become so spoilt and entitled… but that’s another story. So, it’s a simple craft project where you discuss doing nice things “gifts from the heart” - moreover, good deeds. Brainstorm some Good Deeds with the class. 4 good deeds per week! Below are images of my own demo Sweet Things for the Week craft which I made, illustrated and colored. 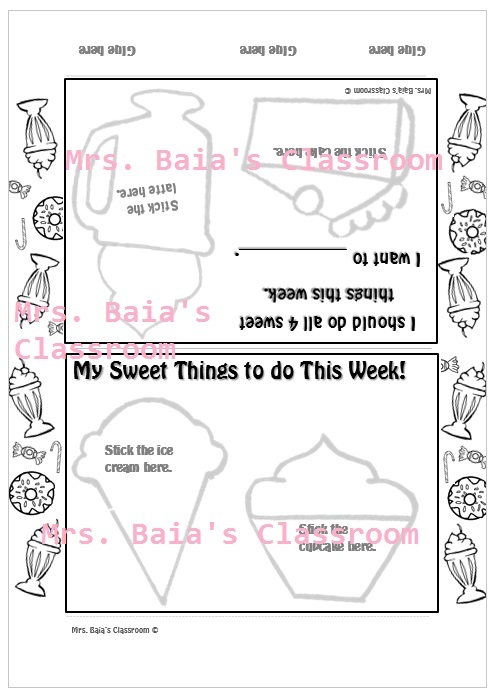 I updated the display to have decorations of sweet things in the boarder, so the kids can color more and make it look even sweeter! You can see my own colored sweet things pockets below, and imagine how the black and white could look all colored in. You could even print these on colored card! As you can see there's a sentence for them to write - it says "I want to _____________" You can brainstorm ideas for this, such as "I want to be a better person", "I want to be nice." , "I want to be good" ...etc. It's sort of a goal for these good deeds. 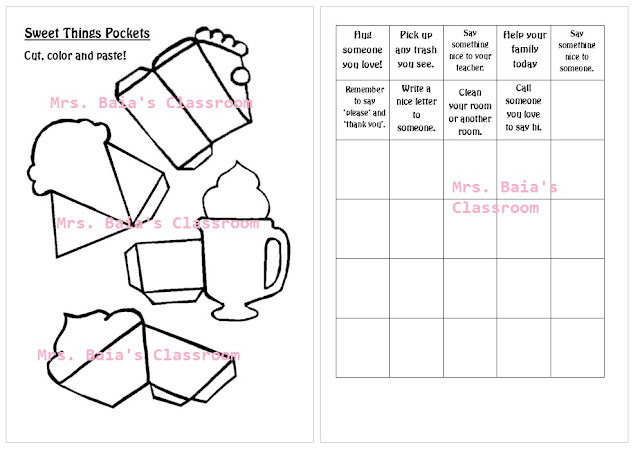 Now, you can use my word doc file or use one of the many other ideas for a similar activity. There are heaps of similar ideas online. You cut and paste the pockets to the display above, the display is folded and glued at the bottom to make it stand. Best if you print on card, or thick paper! The table is full of some sample good deeds and plenty of space to write their own. 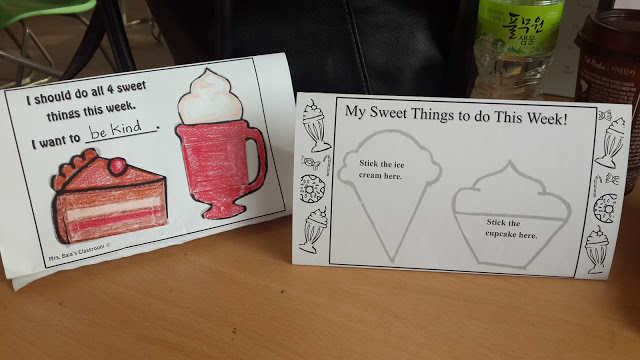 The Idea: I wanted to make some sort of display using card & paper where the student can pick at least 4 good deeds to do each week / or month (I guess a month might be more realistic for some) and so, in the lesson I wanted to get them writing their own ideas for good deeds as well as using some I've already written. They can have personal good deeds this way, like "Help grandma water the flowers" etc. This is a great teaching moment to brainstorm and get them thinking, speaking and writing. Call (someone's name) to say hello and how are you? Write (someone's name) a nice letter/card. Ultimately, they will go home with at least 31 good deeds (thinking, one month in my head) and a display unit. The display unit will allow them to pick the 4 good deeds randomly from their 31 - maybe it's kept in a jar or envelope and they just stick their hand in blind. Then they attach them to the display (the good deeds are written on small cards) and so, they have to set the goal of completing all 4 good deeds within the week. I personally think a week is doable but maybe you'd want to let them know that they could change it to two weeks or a month. Now, the good deeds should be nice things but nothing insane or difficult for a child to do. Realistic is the word that needs to be in your head for this lesson. Say something nice to someone - a compliment. Help someone with cleaning - mum, dad, family. Pick up any trash you see around you today. Call someone you love to say hello - grandparents, aunty, uncle. Help your friend with something. Hold (open) the door for someone today, as many times as you can. Remember to say please and thank you this week. My sweet things pockets, cut and colored. 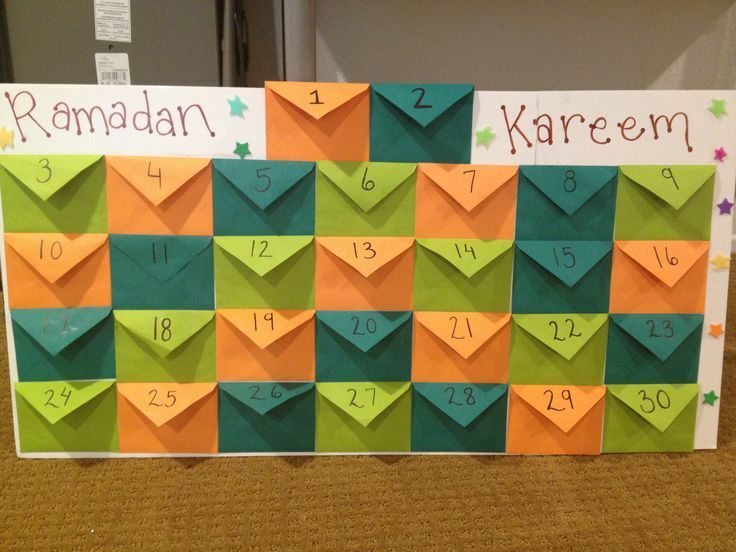 These are both made for Muslim kids during Ramadan, but I figure you can use the same idea, how they constructed it, etc. You could just do one month and then have them rearrange the deeds at the end of every month. That's a deed a day, so very ambitious for some students. View the link to see full, how to instructions. You can buy jars in Korea from stores like diaso for cheap actually! You could also use an old tissue box, or any box to mimic this craft. 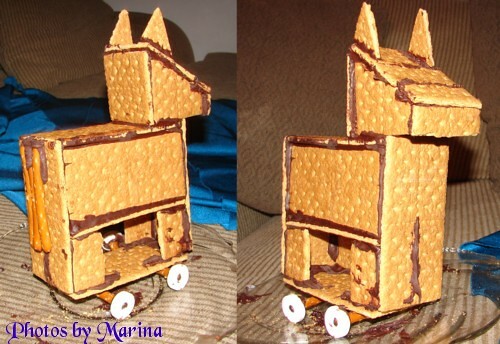 I will probably be doing this day over 2 days, so I'd like to do a Cookie Craft - making a trojan horse with cookies. I've recently done a lesson on cookie houses at my main school for lesson "What a Nice House. "(click to see post) and as it worked really well, I think I'll also do it during camp.